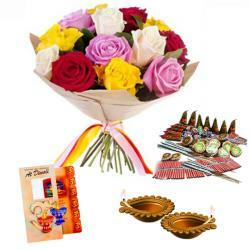 Product Consist : 2 Diwali Diyas, Diwali Card, Hand Tied Bouquet of 12 Red Roses along with Diwali Fire Crackers (Worth Rs. 300/-) (Note: Firecracker will be deliver as per their availability no specific choice for it). The festival of lights enlightens your loved ones home with peace and serenity so wish them with a joy and happiness. 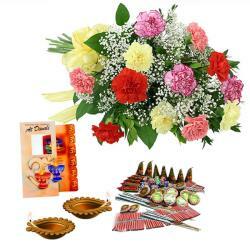 Greet your loved ones with lots of love on this Diwali by sending them ultimate gifts from Giftacrossindia. 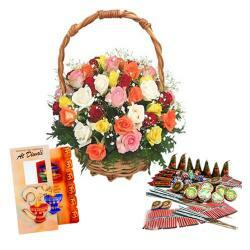 This is a delightful hamper that comprises of a bouquet of dozen fresh red roses and fire crackers worth Rs. 300. 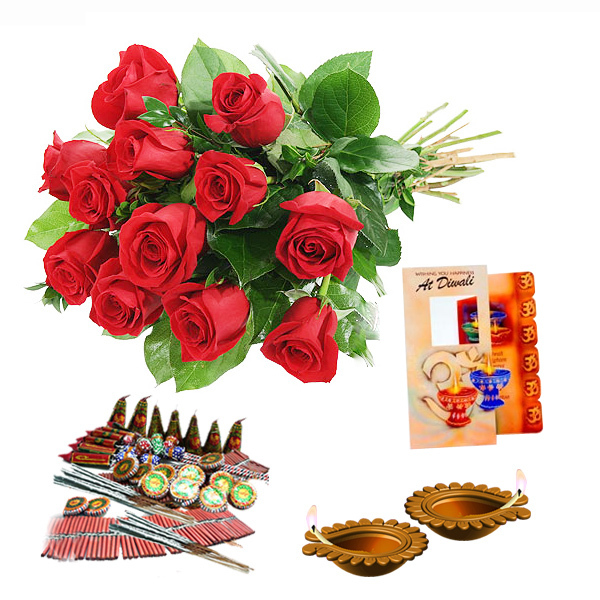 Diya and fire crackers being the centre of Diwali festivities this wonderful gift is bound to enthral your loved ones and make their celebrations a grand and memorable affair. So go ahead and book your order today to make them feel special and loved. 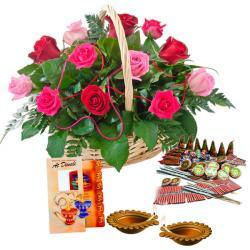 Product Includes : 2 Diwali Diyas Diwali Card Round Hand Tied Bouquet of 12 Red Roses along with Diwali Fire Crackers (Worth Rs. 300/-) (Note: Firecracker will be deliver as per their availability no specific choice for it).